Great for your young sports fan! 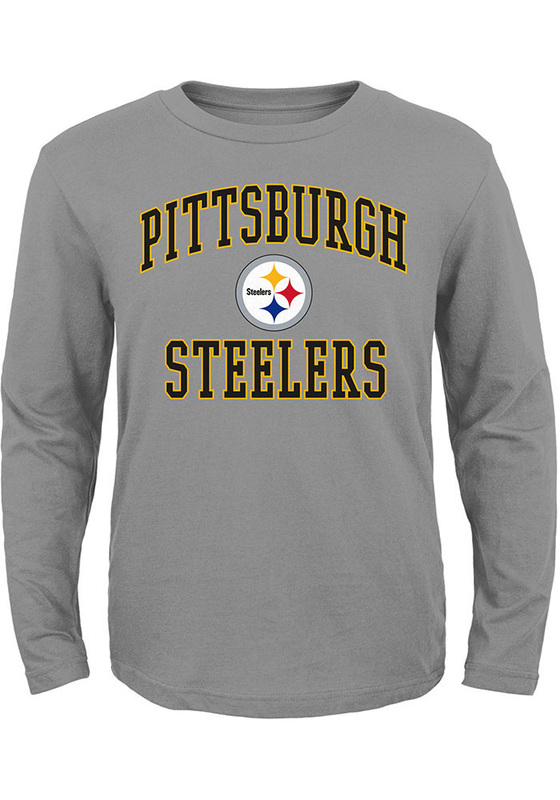 Give your little Steelers fan a new way to show their support with this Pittsburgh Steelers Grey Long Sleeve T-Shirt. This #1 Design T-Shirt features a screen printed Pittsburgh Steelers wordmark and Steelers logo that will look good in the stadium or around town.